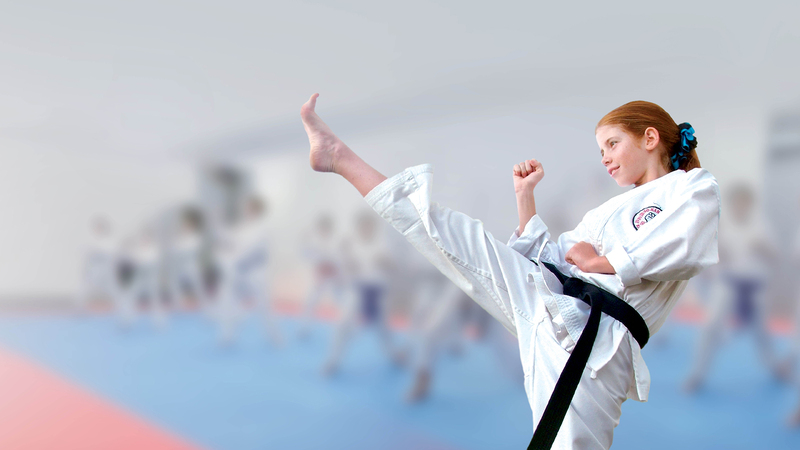 Most karate-ka feel stretching is all to do with kicking higher or to prevent the muscles being injured while kicking, and whilst that is true, the benefits to stretching go well beyond flexibility for karate purposes. To begin with, everyone should stretch, whether they are active or not. Even sitting at a desk all day contributes to such things as muscle tension, stiffness and poor circulation. Both aging and inactivity cause our muscles, tendons, and ligaments to shorten over time. Stretching helps our muscles to stay long and lithe. Stretching relieves muscle tension and tightness and reduces the risk of muscle soreness after exercise. Stretching reduces wear and tear on our joints, thus reducing joint pain. Considering the number of people who seek medical advice on hip and knee pain grows each year, stretching can lower this risk. Stretching boosts our energy levels by improving the quality of our circulation. Stretching reduces the risk of injury by helping to balance the body and by ensuring we do not go into exercise with tight muscles. Stretching regularly improves the quality of our physical performance in nearly every activity. It helps you get the most out of your body in daily life and training. Stretching regularly improves body posture and corrects imbalances that were caused by muscle tightness. Studies have shown that regular stretching can improve the quality of our sleep by up to 30%. When Should We Stretch And For How Long? Don’t feel you have to commit yourself to extensive yoga classes – although they are very beneficial. Stretching can be something you fit in at any time of the day. Here are some examples. While sitting, pull your knees back as far as they will go (similar to a sumo stance) to stretch your groin. You can do this each time your on the phone. Stand up from time to time and put one foot up on your chair to stretch your hamstrings. Stand up and stretch your whole body out (stand on tiptoes and stretch your arms above your head). Circle your hips and rotate your upper body from side to side. When ironing, or washing dishes, stand with your legs apart in a high box splits. Or stand with one leg forward and bend your back leg in to stretch your calves. When watching television, sit on the floor and stretch through your quads, hamstrings, and groin. When commercials are on, lie down and stretch your back muscles. The key in any form of flexibility strategies is to just be consistent. Stretching or foam rolling once or twice a week does not get it done. It is always better to do 4-5 sessions of 5 minutes in length of flexibility work than 1 session per week of 30 minutes. If you are consistently working on your flexibility, range of motion then over time it will greatly improve. Generally you will find that relaxing environments are the best time to do do this, ie right before sleeping or waking up. The body is more relaxed and will respond nicely to whatever flexibility you choose. If you find that it is easiest to be consistent around workout times then that will work just fine, the key is just to be consistent!